Christmas cookies are a holiday tradition for many families. Festive cookies make wonderful gifts, and cookie baking and decorating is a great way to get the kids involved in the festivities. Most baked cookies can be frozen decorated or undecorated, or you can freeze your cookie dough now for baking and decorating just before the holidays. See these cookie baking tips for more decorating and gift-giving ideas. Here are dozens of our favorite cookie recipes, including basic shortbread and sugar cookies, butter cookies, fancy bars, and traditional Christmas cookie recipes including these Chocolate Chip Icebox Cookies pictured above! 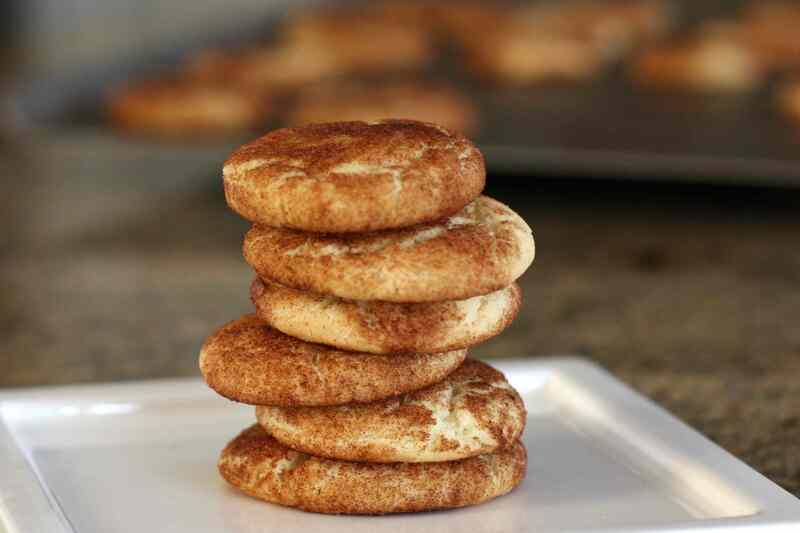 These Classic Snickerdoodles are a holiday tradition. The cinnamon-sugar coated cookies make the whole house smell of sugar and spice! The vibrant red color makes these Red Velvet Crinkles the perfect treat for Christmas and Valentine's Day. Bake these Filled or Decorated Sugar Cookies in shapes to fit the occasion and then decorate them with icing or sprinkles. Or fill them with jam, dulce de leche, or chocolate ganache. The shortbread crust gives these extra-special chewy, gooey Best Ever Blondies With Shortbread Crust some crunchy texture. Use mini chocolate chips or regular semisweet chocolate chips in these bars. These Perfect Chocolate Shortbread Cookies are surprisingly easy to prepare, and the flavor is out-of-this-world. These awesome cookies are made with only four ingredients. A cream cheese dough makes these classic Jam-Filled Kolache Cookies soft and delicious. Use your favorite preserves or jam in the filling for the cookies. The three portions of dough are layered in a pan to form a loaf. The Easy Ribbon Cookies With Candied Cherries are then sliced and baked. This scrumptious Big Skillet Snickerdoodle Cookie is perfect for a holiday party! Serve it in thin wedges with caramel sauce or a scoop of ice cream. 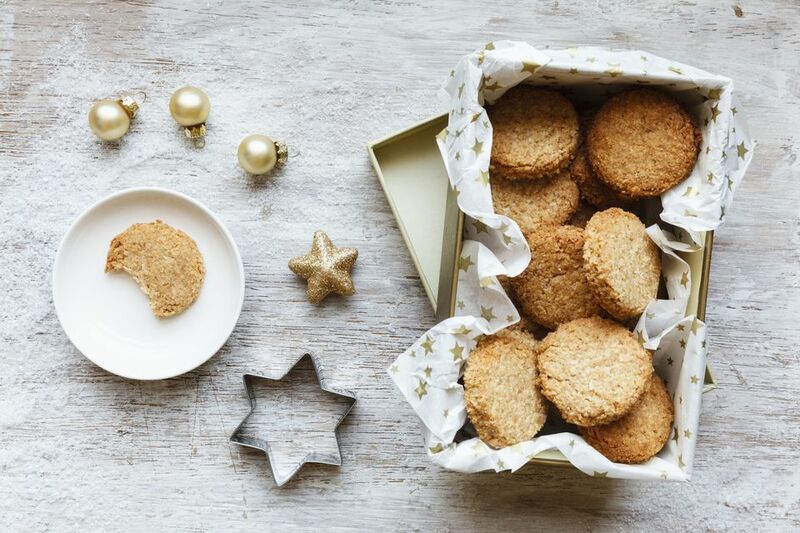 If you love maple-flavored treats, these Maple Flake Shortbread Cookies are for you! Maple flakes are the secret to the fabulous maple flavor. If you can't find maple flakes locally, buy 1-pound bags from Amazon. They are incredible in cookies, on cereal, or sprinkled over ice cream. Cocoa powder and espresso (or coffee) powder flavor these fantastic Mocha Butterball Cookies. Make extra cookies and freeze them for later. These buttery Brown Sugar Shortbread cookies are classic. Sprinkle them with some vanilla sugar or cinnamon sugar just before you put them in the oven. These simple Easy 3-Ingredient Coconut Macaroons can be dressed up for the holidays with chopped red and green candied cherries. Make these Lemon Cream Cheese Cookies for your friends and family and watch them disappear! A flavorful lemon icing is the perfect finishing touch. These Soft Pumpkin Cookies With Brown Butter Icing will be a big hit with everyone! The brown butter icing adds flavor to these easy soft spiced cookies. These traditional holiday Date Pinwheel Cookies boast a date and nut filling. A simple caramel icing tops these soft Pumpkin Cookies With Caramel Icing​​. These melt-in-your-mouth Meltaway Butter Cookies are a snap to fix and bake. These Old Fashioned Sugar Cookies are always a hit. Add a dash of ground nutmeg for seasonal flavor. The name Forgotten Cookies comes from "forgetting" about the cookies and leaving them in the oven overnight or for several hours (after turning the oven off). There's no chilling or rolling required for these Soft Molasses Drop Cookies. Dust them with powdered sugar or drizzle with vanilla icing. Use regular granulated sugar or larger grained decorating sugar on these fabulous Molasses Crinkles Recipe. Sour cream gives these soft Brown Sugar Sour Cream Drop Cookies great flavor and texture. Feel free to add chopped nuts to the batter before baking. Melted bittersweet or semisweet chocolate is added to the cookie dough to make these fabulous Chocolate Butterball Christmas Cookies. Finely chopped pecans add texture. These easy vanilla Basic Butter Shortbread need only five ingredients. You don't even need an electric mixer. Layers of graham cracker crust, coconut, pecans, chocolate chips, and sweetened condensed milk make these little Magic Cookie Bars magical. A cinnamon-sugar topping makes these Crispy Sand Tart Cookies with Cinnamon extra-special. These Peanut Butter Shortbread Cut-Outs are not only easy to prepare — they're egg-free. Drizzle melted chocolate over these shortbread cookies for the holidays. These fabulous Chewy Coconut Chocolate Chunk Blondies are brimming with flavor. The blondies include coconut, chocolate chunks, and a melted chocolate drizzle. A dab of batter partially covers the date filling in these soft Date Drop Cookies. Make this your go-to recipe for Date Squares with Oat Crust. These delicious date bars boast a crumbly oat crust and a generous date filling. If you like old-fashioned favorites, these Old-Fashioned Jumbles Cookies With Raisins are for you! Use dried cranberries instead of raisins for a festive look. Ice these Soft Sugar Cookies With Sour Cream with the included quick icing and sprinkle them with decorating sugars. Use your favorite jam or preserves to fill these delightful Thumbprint Cookies. These delicious little Lemon Butter Cookies are brimming with fresh and vibrant lemon flavor. Roll the cookies in powdered sugar after they've cooled.